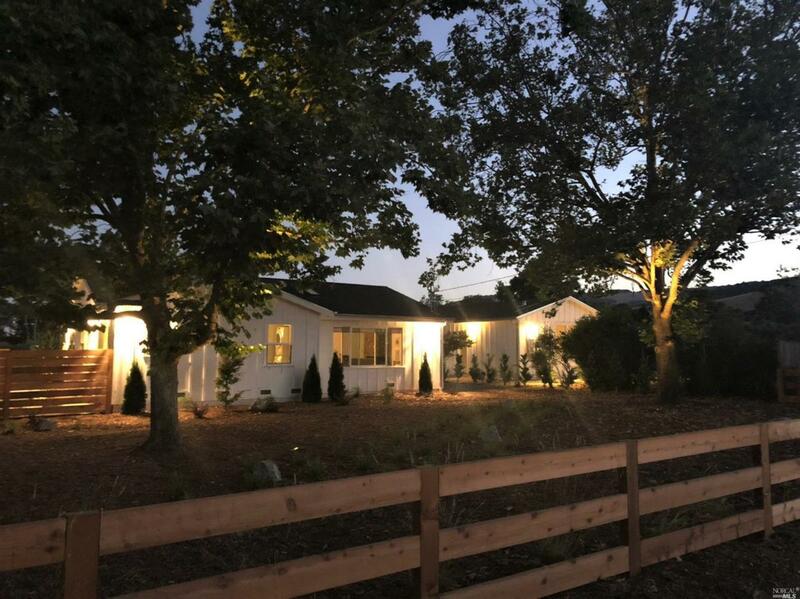 Beautiful completely renovated home in one of Sonoma's most sought after areas. Light, bright modern open plan with state of the art technology. Hardwood floors, gourmet island kitchen with quartz counter tops and stainless steel appliances. Private covered patio, built in fire pit, BBQ, and hot tub. Pasture and vineyard views, newly landscaped with fruit trees & plenty of room for added gardens and outdoor activities. Dreams really do come true! Listing courtesy of Nancy Kenneally of W Real Estate.